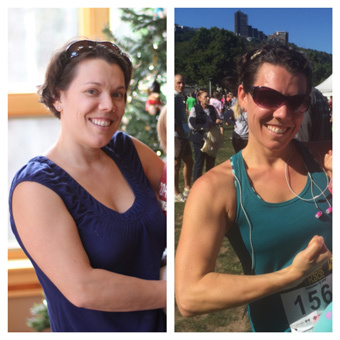 You are here: Home / Health and Wellness / Travel Doesn’t Have to Destroy Your Diet! I’ve learned a lot over the past several years as I’ve surrounded myself with experts in the world of healthy eating. I’ve also been fortunate to be able to travel a lot over the past several years and as a result I have established some very effective routines. One of the things I love about the way I eat is that it’s a permanent lifestyle. It is not a diet with which to lose weight quickly and then go back to old habits. That system never worked for me. I’d lose a bit of weight and then something would happen (like normal life) and I’d gain a little weight right back. I was never a dangerous yo-yo dieter but I was definitely a yo-yo eater sometimes sticking to a plan, sometimes not. 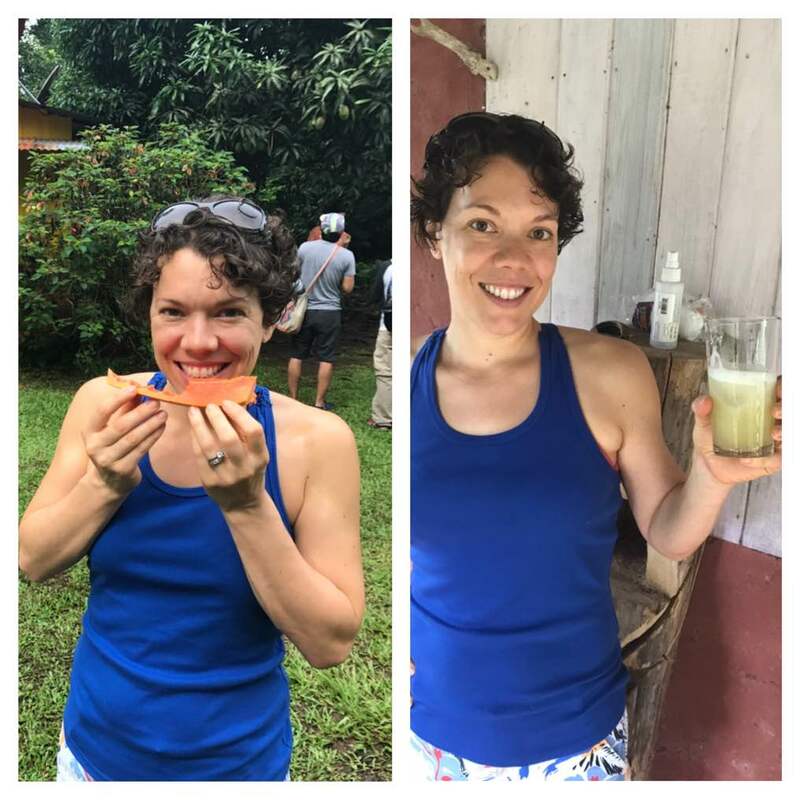 What’s different for me now is the mentality that this is a lifelong way of eating (read more about what I actually eat here), and that means that I do what I need to do to make it work while I’m traveling too. Some say it’s difficult to eat healthfully while traveling but for me it’s a lot easier to stay on track than to abandon all rules while traveling and spend 3-6 months picking up the pieces after the trip! Case in point: I went on a cruise in 2007 and gained 10 lbs. In a week. That was horrific and something I swore I would never let happen again. I went on a cruise in 2016 and lost 2-3 lbs eating as much as I wanted, when I wanted, never feeling deprived, and enjoying myself thoroughly. That experience empowered and inspired me to make sure that I always make every effort to stick to my plan regardless of where travel takes me. Some destinations and situations are easier than others, for sure, but here are a few general tips that you may find helpful. I’ll also share some specifics of what I did on this most recent trip that worked great! Arrange lodging with a kitchenette or kitchen if possible. I really love to do a condo or house rental when it’s feasible, so we like to travel with another couple or another family in order to make this more affordable. VRBO and AirBnB are great places to find options online. The next preference would be a hotel with a small fridge and a microwave, and the last choice would be a regular hotel room (where you might need to bring special equipment to make life easier). If you prefer camping or the open road, check out my tips from an RV adventure last summer. Plan your meals before you leave home. Once you know how you’ll be able to prepare food, brainstorm your meals for your trip. Consider making large batches of a few favorites so you’re not spending your whole trip cooking. Embrace leftovers! Choose things with a short ingredient list or one pot meals you can set and forget. “Make your food boring and your life interesting”. This quote from Andrew “Spud Fit” Taylor deserves its very own post some day, but for now just keep this concept in mind. The purpose of your vacation is to visit new places and spend quality time with friends and loved ones. It doesn’t have to revolve around 3 meals a day. Arm yourself with simple food readily available and let it go at that. Veggies, starches, fruit, repeat. Find out what you can bring. You’ll want to do some research about what foods you can get through security if you’re traveling domestically but you’ll also want to check out the specific rules for each particular country if you’re traveling internationally. I have some tips for airline travel in this post. I’ve been traveling with dehydrated food lately like hummus, fruit, sauces, and ready to eat food like Chef AJ’s Game Changing gRAWnola (original Grawnola recipe can be found in Unprocessed). Her Blueberry Mill-oat Muffins also travel well, and when frozen they can act as your ice pack for the first several hours. I like to bring microwavable rice, canned pineapple, canned beans, and dehydrated fruit. And this should come as no surprise, but I take roasted sweet potatoes through airport security every single time I travel. Fresh produce is a no-no in pretty much every country, but if it’s packaged or previously cooked, you’re likely ok. Again, check specifics so you’re not surprised. Find out what access you’ll have to groceries. If you have a rental car this is usually an easy one. If not, you may wish to arrange Taxi service to a grocery store on your way to your hotel. Many cities have grocery delivery services which can be a huge help. I used WeGoShop in Disney recently and it was a breeze! This particular service will shop at any store you wish and delivery groceries right to your hotel lobby. I found fees to be very reasonable though you’d want to plan well so you don’t have to send them out more than once. Some of these services ask for reservations and shopping list weeks in advance, so planning ahead would be advisable. Prefer to think inside the box? Get an Amazon delivery! I did this in Disney too – found a bunch of inexpensive items on Amazon and shipped them directly to my hotel to arrive the same day I did which cut down on paying a grocery delivery service. Certainly it was cheaper than paying for snacks at the amusement parks! Use breakfast as an easy meal to repeat. I like to do veggies and rice or potatoes for breakfast, so if I have a kitchen I try to get bags of pre-cut veggies that are easy to steam. I’ll just pop a bag in the microwave or Instant Pot and that meal is done. If I don’t have a kitchen, my go-to is frozen kale mixed with crushed pineapple and cinnamon. It sounds bizarre I’m sure but it’s fantastic, incredibly easy, and fairly easy to source in most locations. I also like oatmeal and fruit with breakfast sometimes, and when I’m traveling that’s an easy go-to. I love Overnight Oats which don’t even need to be cooked. I just use a 1/2 c oats to 1 c almond milk, a smashed banana, and cinnamon. Add-ins are endless. Keep breakfast simple. There’s no need to rethink it every day. Prep what you can before you go. This will vary based on the above factors but you can save time by doing some prep at home. Consider bringing just the spices you’ll need for a specific recipe. This is great for soups and stews – measure all the spices and bring them in a single Ziploc baggie so you just add some veggies and beans when you’re there and it will taste just like home. Don’t be shy about asking for help. Many resorts will fall all over themselves to help you. In two recent hotel stays I was stressed about not being able to cook my own food and I asked at check-in about renting a microwave for a few days. Housekeeping brought one up within the hour free of charge. Restaurants can be accommodating to special needs but in the end you only have control over your food when you prepare it yourself. I try to minimize restaurant meals even while traveling because I prefer to spend my time touring, hiking, lounging on the beach. A 3 hour meal at a fancy restaurant? No thanks! Bring special equipment to make life easier. Depending how frequently you travel, you may want to consider some extra tools. Whether you’re in a condo or a hotel room, you may want to have some of the following. I have a small portable rice cooker that can cook up to 3 cups of rice in 30 minutes. A soft sided cooler bag can make a great carry-on, or you may want to have a smaller one for bringing one meal at a time for a day trip. Some folks like to travel with a full size pressure cooker, and you can find small ones too. It just depends how many people you’re cooking for and how much room you have in your luggage. I packed my Instant Pot in a checked bag once and it got pretty banged up, so word to the wise – pack better or carry it on. I like to pack some Ziploc bags of varying sizes for leftovers or for ice. And when packing my bags I like to use reusable containers that will later function to hold leftovers. There’s nothing worse than having a big batch of a great dish and no way to transport it! For a recent trip to Costa Rica, I overcame some unique challenges. We made sure to have a kitchen for 9 out of 10 nights, but we were actually in 5 different locations for those 10 days. So that meant a lot of thought had to go in to which groceries I would buy fresh, canned or frozen since we only had a single cooler bag and needed to transport food several hours between destinations. We did have a rental car, so accessing grocery stores was relatively easy. The selection was much different than I was expecting, so I had to improvise quite a bit. I ended up with Overnight Oats for breakfast most days. 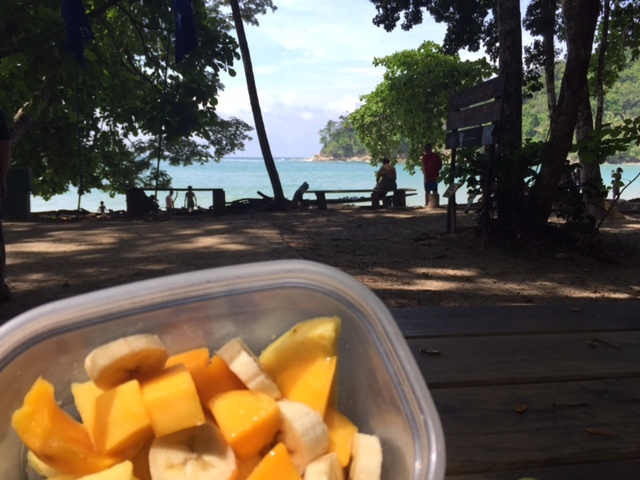 We bought fruit from roadside fruit stands so we feasted on the best pineapple, mango, and bananas that I’ve ever had. I also got to sample papaya, star fruit, Inga, and guava. One of the highlights of the trip was having fresh squeezed sugar cane juice! Just like squeezing an orange, we used a special tool to wring out the natural liquid from the plant and it was a refreshing drink – so cool! While I wouldn’t recommend it as a daily drink for anyone trying to lose weight or dealing with food addictions, it was a really neat experience. 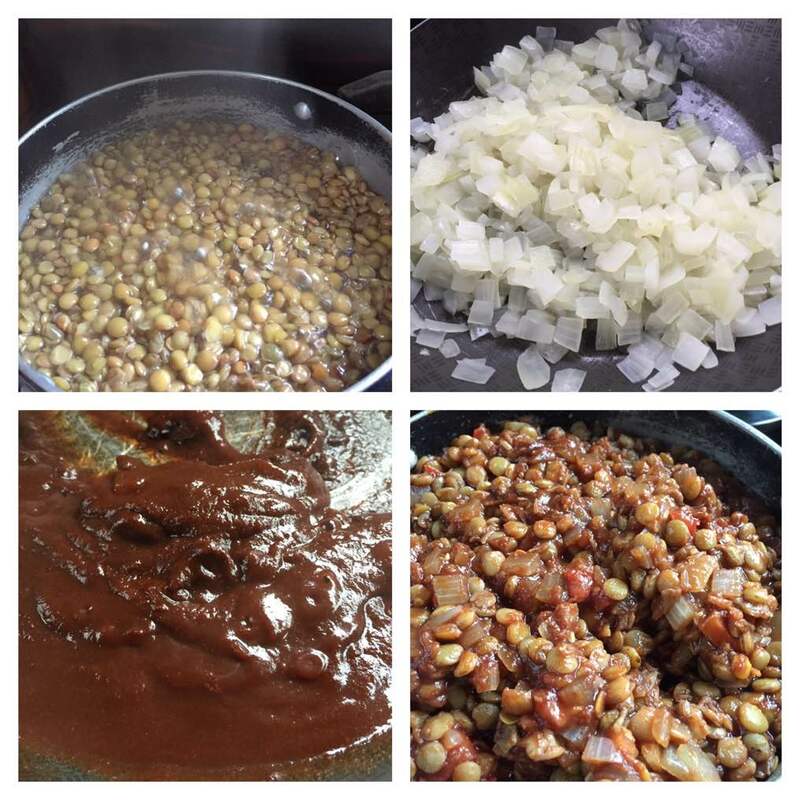 I am so loving Joanna Lackey’s recipe for Instant Pot BBQ Lentils. They can be served like sloppy joes or I just eat them over a potato or out of a bowl. 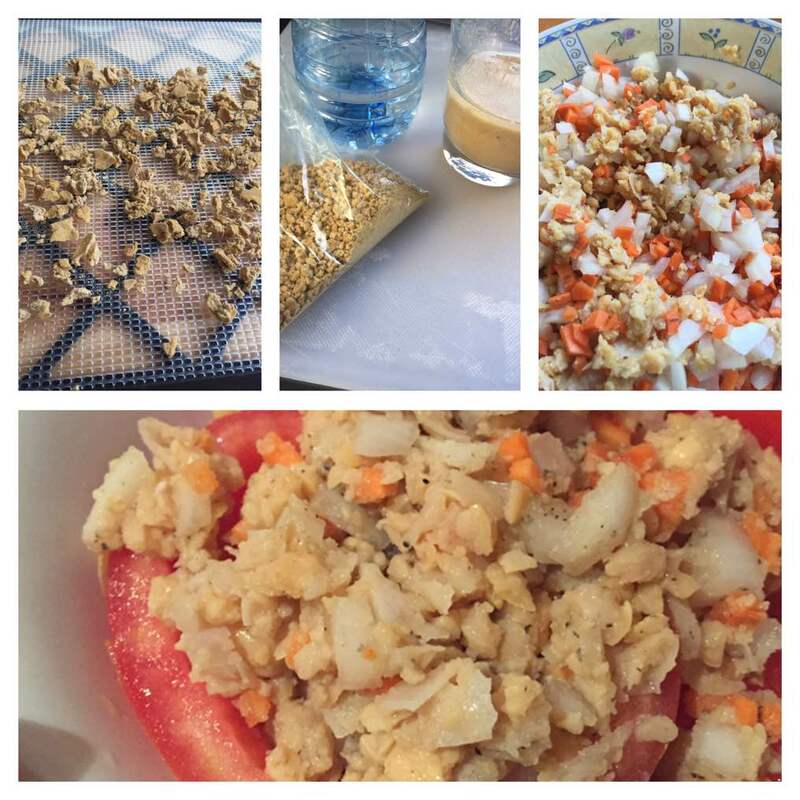 There are only 4 ingredients – lentils, onion, tomato, and BBQ sauce. I like to make Mairead Reddy’s BBQ Sauce which is UWL compliant (most store-bought varieties will have sugar and salt) and it is simply delicious. This trip I had a brilliant idea and made the sauce in advance and dehydrated it! 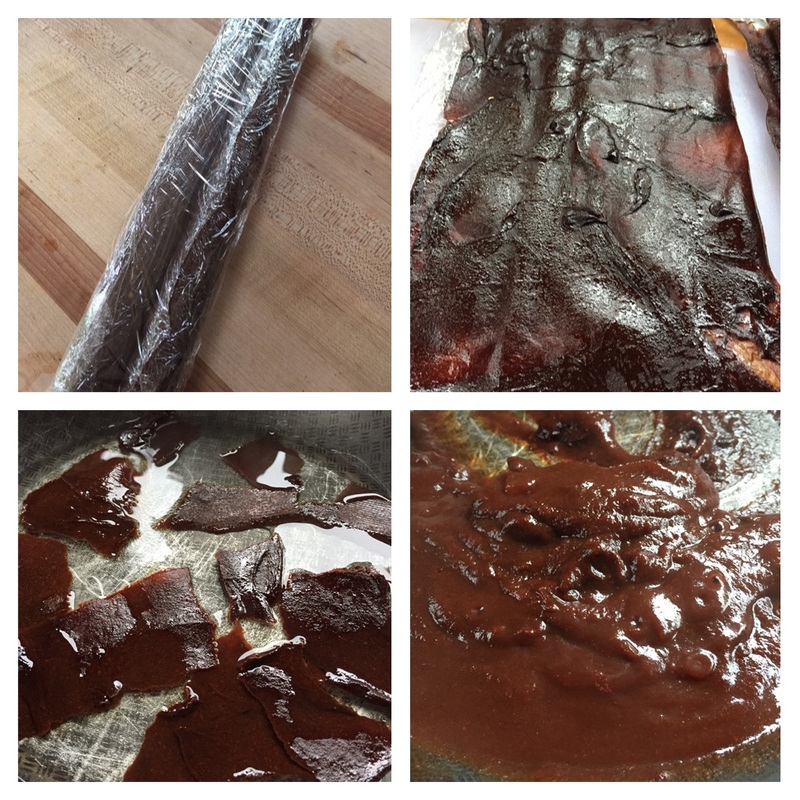 It came out like a fruit roll-up texture so I simply wrapped it in plastic wrap as I rolled and it rehydrated just perfectly. This will be a future staple for sure. My other new trick from this trip was making Cathy Fisher’s Tu-No Salad for lunches. Normally I would omit the optional avocado, but when I could pick avocadoes the size of my hand from a roadside stand, I just couldn’t pass up the opportunity! This is my kind of vacation splurge – higher in fat than I’d normally eat on a regular basis, but still a whole natural food free of salt, oil, and sugar. I have to call that a win. Just like with the lentils, I made the hard part at home – the part with the most ingredients, the sauce. I dehydrated it to a crumbly consistency and then popped it in the Vitamix for a few quick zips to make it a fine powder and easier to rehydrate. At the time of preparation I just had to mash the beans, chop the onion, avocado, and carrot (I couldn’t find celery), and I served it on fresh tomato slices. Divine! 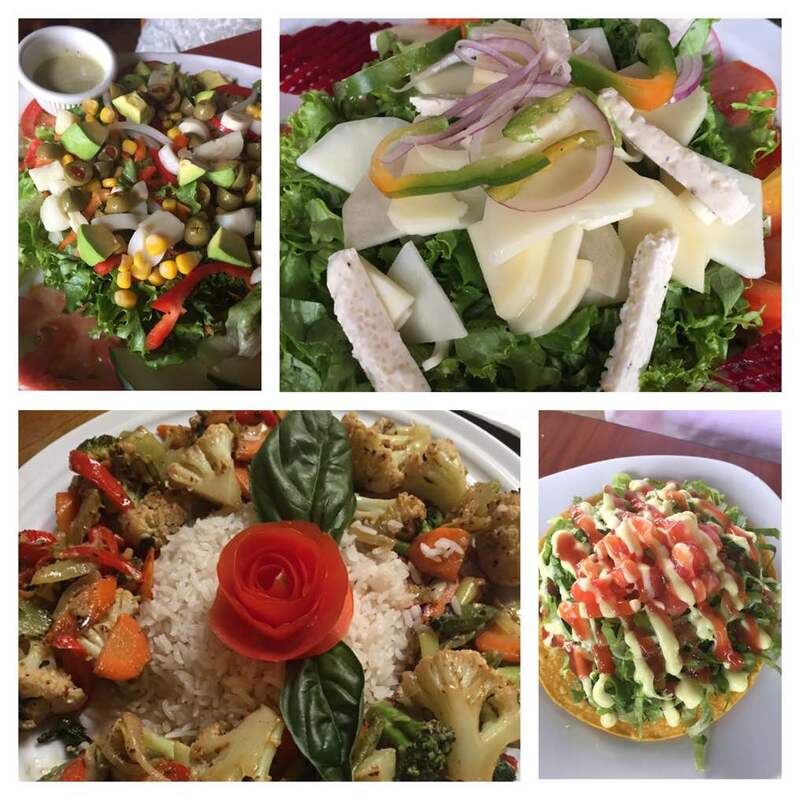 Some other fun meals from this trip: Fresh salads, stir-fried veggies and rice from a vegan restaurant, and a tostada salad that my daughter really enjoyed. We stumbled upon a vegan restaurant in every town, and two of the typical Costa Rican dishes are Gallo Pinto (rice and beans and spices) and Casado (rice, beans, veggies, and corn tortillas), so there was always something on a menu that we could modify to some degree. We ate out a max of one meal per day, and made the rest of our meals at “home”. All in all I call it a big success! The biggest sign of success is being able to step right back into the regular routine at home. This piece is often overlooked and I’ll be doing a separate post to address this very soon! Subscribe to receive notification of future posts. Thanks so much! The main reason I changed to this lifestyle is quality of Life and continuing world travel so look forward to any tips I can get. That’s just great! World travel is a great motivator! How do you handle a cruise? Great question! I’ve been on 2 Norwegian Cruise Line trips since eating this way. The main buffet always had a “salad” even if the breakfast one was lettuce, tomato, onion, and I added pear or dates. I like to bring my own flavored balsamic vinegar because there’s a guarantee they won’t have anything quite that tasty and salads may need to be jazzed up a bit! I also made friends with maitre ‘d or two. On Norwegian they take dietary requirements very seriously and they have a decent tracking system so you don’t need to repeat yourself 3 x’s a day. What I’ve found is the easiest way to handle it is to pre-order my meals a day in advance. They’re willing to get creative, but don’t expect it on the spot. 24 hrs in advance is a must. I opted to make it easy on myself and put in a standing order for every lunch and dinner – giant plate of steamed vegetables and 2 baked potatoes. So every meal I would find the Maitre ‘d, alert my server, and they’d go get my plate from the main kitchen and serve with everyone else’s. Of course it was also my option to have whatever they had on the buffet as well. It changed daily, and sometimes they had steamed veggies and plain rice. Sometimes they didn’t. With my system, I had my bases covered and knew I’d be ok!